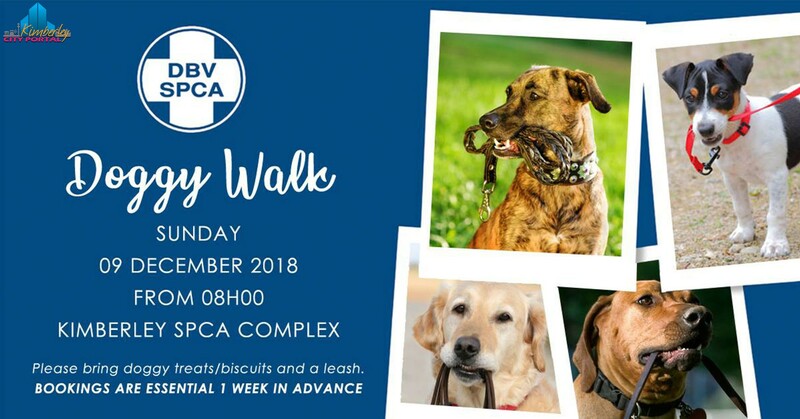 Our volunteers are hosting another SPCA Doggy Walk Day on 09 December 2018! The day is for walking SPCA dogs only; no private pets allowed. Please go to our offices 1-2 weeks before the event, choose the dog you wish to walk and make your booking. Provide the kennel number of the dog along with your details to the lady at reception. There is a R40 entrance fee which will include a worsroll and cold drink. Additional worsrolls and cold drinks will also be sold. Please bring your own leash and doggy treats, and chairs/blanket for socializing afterwards.